Are Digitalization and Industry 4.0 buzzwords that create a hype, which will disappear like other hypes do? Companies, which are already in the Change Process tell us, that we should not wait but react accordingly. People Development is as well effected and is asked to prepare for the change. 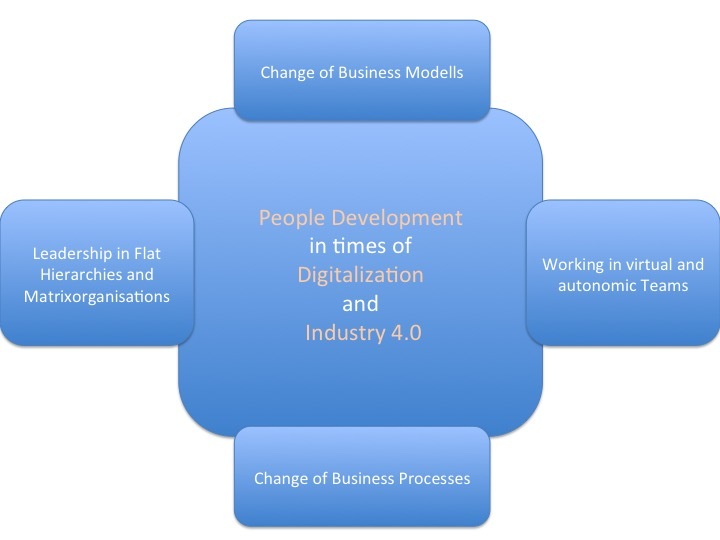 Despite some threats, Digitalization and Industry 4.0 include significant chances and opportunities for People Development. Interested? Please feel free to ask for more information through: ralf@re-pd.com.